I’ve been getting tons of e-mails from hunting gear and camouflage store announcing sales for Presidents’ Day 2018. I’ve found that making a blog post for the major holiday sales makes it easier to see all the deals in one place. Some of these sales are not specifically for Presidents’ Day, but I’m counting them because that’s where they fall on the calendar. Overall the selection isn’t as big as Black Friday or Cyber Monday, but there are still some good deals to help you prepare for turkey hunting or even next season. I will be updating this page with the latest deals and specials from hunting gear websites for Presidents’ Day as they are announced. Click the title of the offer to go straight to the store. Let me know in the comments if you find this page helpful or if you find a sale that isn’t listed. Make sure to visit www.HuntingGearDeals.com throughout the year to help you stretch your hunting gear budget. New deals are posted every day. Connect with me on Facebook, Twitter, or Instagram and make sure to join the email list. Yes, eBay has coupon codes. Use the code PRESDAY to get 20% off your order of $25 or more. 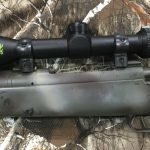 The deal is from select sellers, but there are over 25,000 items in the hunting section alone. There is a $50 maximum discount and you can only use it once per account. There are some excellent deals if you can spend a few minutes looking. Hunt Smart is offering 19% off sitewide with the promo code 1DSF1718H. 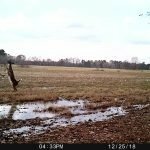 HuntSmart.com specializes in hunting lights, trapping, and everything hound hunting and training. KUIU has 24 items on sale 15-25% off for Presidents Day. They have hunting packs, insulated jackets, Merino wool, hunting pants, and more on sale. KUIU sells direct to consumer, so their aren’t many opportunities to get deals like this! Lots of discounts are being offered at BlackOvis. They always offer free shipping with no minimum. Make sure to add your free BlackOvis hat to your cart if you spend $75+! Take 10% off your $50+ order at Optics Planet with the coupon code EMAIL. This code applies on top of some great sales they already have going on now. You can get 14% off select premium optics using the code PREM14. Brownell’s is offering big discounts on firearm parts and accessories, ammo, and reloading supplies. Use the code M7R to get free shipping on orders of $49+. Backcountry.com is offering up to 50% off clothing, gear, and accessories. On top of the main sale, 2/19-2/20, you can take on extra 20% off items from The North Face, Patagonia, Arc’teryx, and Marmot. 2-Day shipping is free with a $50 order. No promo codes are needed. The Cabela’s February Sale is running through 2/21 with deals on firearms and shooting accessories. You can also save up to 70% on hunting clothing and gear in the Sportsman’s Celebration Blowout Sale. Use the promo code FREESHIP to get free shipping when you spend $49 or more. Get up to 50% off clearance clothing, footwear, and gear at Campmor.com I did some searching on the site and found a few deals on Merino wool clothing. Shipping is free with a $50+ order. Sportsman’s Guide has hundreds of items discounted in their Presidents’ Day Great Outdoors Sale. Use the code SH1903 to get free shipping on orders $49+. As always, Buyer’s Club members will get an extra 5 or 10% off. If you’ve never joined the buyers club, you can get a 30-day free trial. Get 10% off everything at Shoebacca.com when you use the promo code USA10 or 15% off boots with the code BOOTS15. 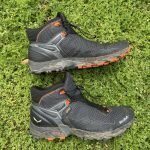 Shoebacca has great pricing on tons of casual and hiking shoes of course, but they have a good selection of hunting boots too, including brands like Lacrosse, Under Armour, Rocky, Danner, and more. RockyBoots.com is offering 20% off sitewide with the promo code RBPRESDAY. The discount applies to both boots and hunting apparel. Thanks for using Hunting Gear Deals! Please share this page with your friends.